We will be serving our Muscats from 2011-2016 and Sweet Serenity, a dessert wine made from our 2009 Muscat. 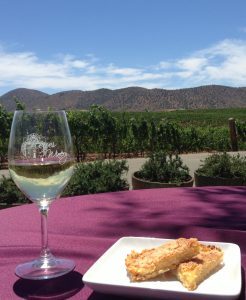 Sweet Serenity has won Gold & Best in Class in the 2014 Long Beach Grand Cru and a bronze in the 2014 Los Angeles International Wine Competition. 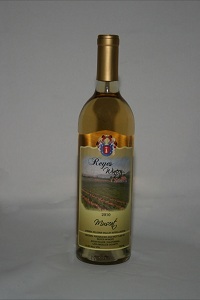 Our 2009 Muscat wine has been aged into an old-world style dessert wine and has just the right touch of wood. It has aromas of burnt caramel, dried apricots and candied ginger. Pairs well with soft cheeses after dinner or cinnamon sugared zeppolli. July 25th is National Wine and Cheese Day! Social media has a hashtag for it, #NationalWineAndCheeseDay. Join the movement and drink lots of Reyes Winery Mucsat. 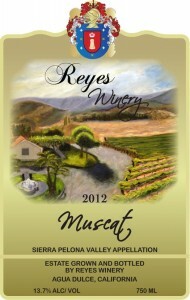 Take a photo of you, your wine and your wine glass; #MuscatWine and #ReyesWinery. This month’s recipe features 2012 Reyes Winery Muscat. This was a limited production wine. 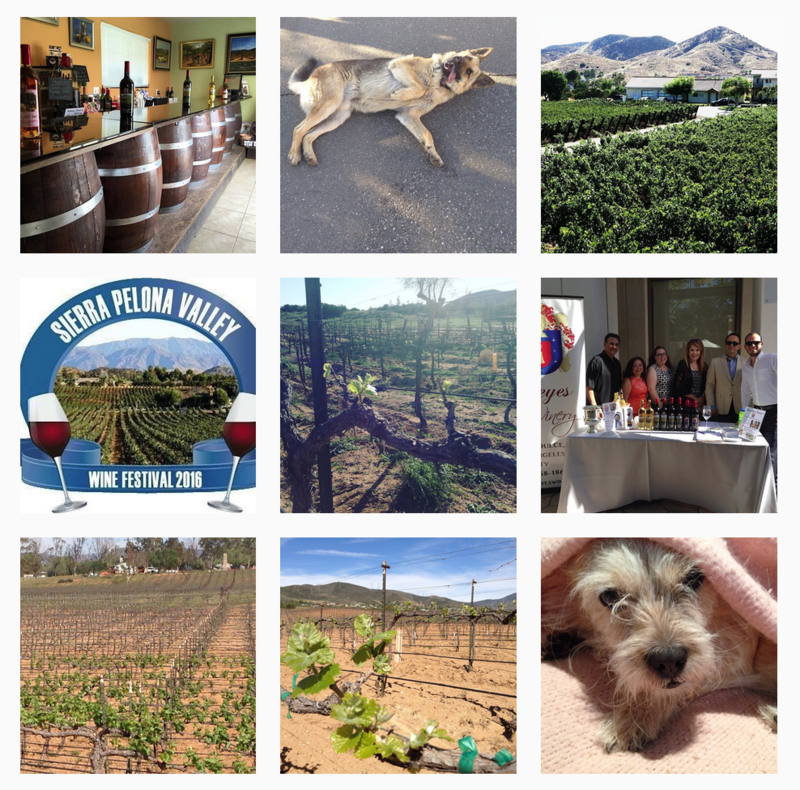 We have brought 6 cases out of the Reyes Winery’s cellar to share this month with you. It has notes of peaches and honey with a tangerine finish. It’s remarkably delicious on its own. Pairs well with spicy sesame chicken, peach Stilton cheese or a peach galette with honey-infused goat cheese. 5. Beat eggs, slowly; add sugar, AP flour and baking powder. 7. When base is done, pour filling over warm base.